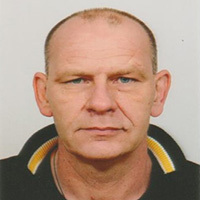 Johan de Jonge started his career in adhesives directly after graduation in 1985 at National Starch & Chemical in Zutphen, The Netherlands, working in R&D for emulsion polymerisation of water-based adhesives. Thereafter he worked in various adhesive technologies such as solvent-based acrylic and hotmelts for medical, graphic, packaging and construction applications. In 1992 he became the technical support for customers around the globe. Prior to joining Sasol, Johan worked as Global Technical Support Manager for the PSA industry focusing on tape and label technologies. He holds patents in emulsion polymerisation and reactive hot melts, as well as application equipment. Johan started his current role at Sasol Performance Chemicals in August 2015. Next generation polyolefin-based adhesives for non-woven hygiene applications not only offer a number of performance advantages over traditional SBC adhesives, but also have overcome concessions seen with first generation polyolefins in this application. Formulating with these next generation polyolefins departs from traditional raw materials usage in non-woven adhesives as waxes are proving crucial to provide latitude to formulators. Waxes have a wide range of performance effects that can be used to modulate adhesive performance, such as tailoring of cohesive strength and lowering the temperature at which the adhesive is sprayable. In this paper, the value of wax in formulating these adhesives is unpacked, and the best performing waxes for the application are highlighted. The new range of Sasol’s FT waxes specifically developed for the non-woven disposable market will be launched during FEICA. This new range will enable the industry to continue further development in the non-woven disposable market, with benefits such as low odour, low application temperatures and excellent adhesive performance based on other polymer technologies than SBC’s.